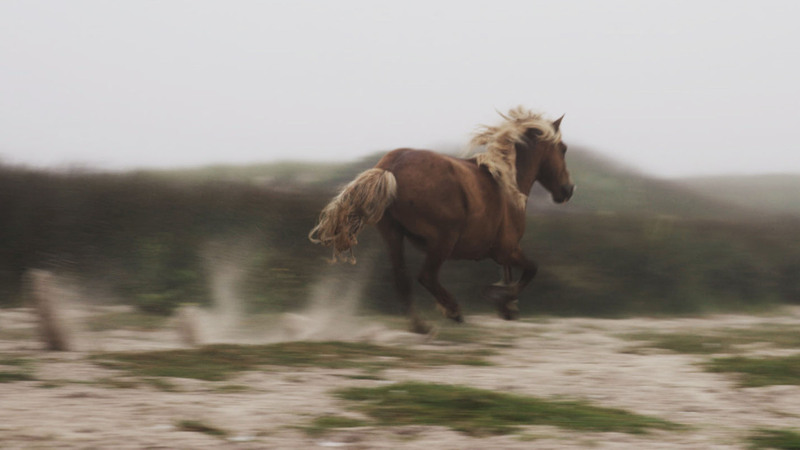 Inhabited only by wild horses and, at times, researchers, Sable Island is one of the most intriguing places on earth. PBS spoke with Producer and Director Drew Doggett​ about the history of this island and what it was like to film there. PBS: Though horses live and roam freely throughout Sable Island, humans have been unable to colonize it. We get a glimpse at this with the abandoned buildings on the island and with the number of shipwrecks that have taken place there. Can you tell us more about the history behind this location? 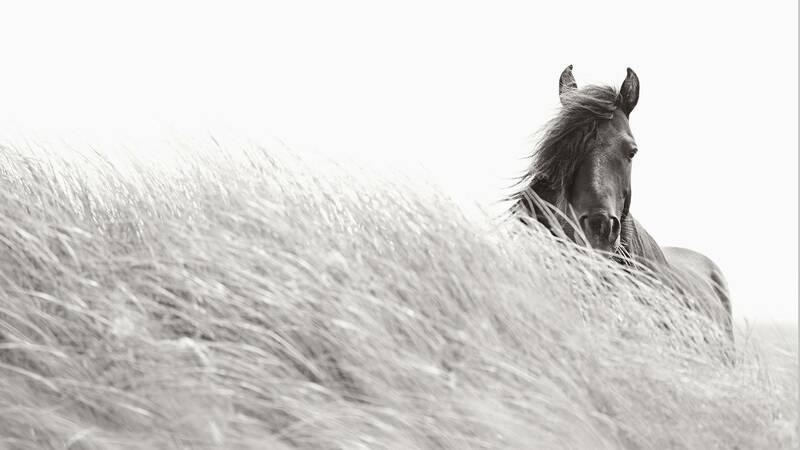 Drew Doggett: Sable Island has an incredibly rich history - one that is almost too incredible to believe. Beyond its horses, which are just part of the miraculous equation, the island was once used as an experimental prison settlement by the French in the late 1500s. They had given criminals two opportunities: Either they could be executed or try their hand at life on Sable Island. Today, it’s only a home to the horses you see in the film, so you can guess how that went. Sable has also caused an estimated 350 shipwrecks - the reason being the island’s regular, intense fog and shallow shoals. When the stars were the most reliable navigational tools available to sailors, the dense mist prevented clear vision & lead to many shipwrecks, leading the island to be known as the “Graveyard of the Atlantic.” The horses arrival at the island is also a source of mystery. Some believe they swam there from a nearby shipwreck but it is generally accepted that they were introduced to the island during the 18th century. Today the only human occupants who live there are a handful of maintenance staff as well as researchers who live there in rotating shifts to study the unique weather patterns enabled by Sable’s location in between the Gulf Stream and Labrador Current. From a zoological standpoint, one of the many reasons these horses are of such interest to researchers is the fact that they have never received modern veterinary care. Their self-contained, preserved way of life — with minimal outside interference — is indeed what has lead them to a thriving existence today. PBS: This film pairs stunning visuals of the horses of Sable Island with narrative behind the footage. Was this always the vision you had for the creation of this piece? Why did you want to share the story in this way? Drew: After my first trip to Sable I knew that when I traveled back I would make a film in addition to my photographic work because I wanted to be able to share the island’s story with the world. My photographs paint the picture of the horses’ life on Sable, but the island itself has its own unique rhythms that I wanted to explore through film. It felt like a privilege to be able to be stay there for an extended period of time since overnight stays on Sable are extremely rare and take years of planning. To retain the preserved qualities of the island, rules and regulations about visiting are a necessary part of Sable’s existence. The vision for this piece came from an imagining of the island’s voice - basically, we asked the question, “What would the island say if it could talk?” We wanted to share this impossibly complex yet delicately beautiful point of view without ignoring any of the elements that make the island so special and unique. Film and the sounds of the island, coupled with my still photographic work, create more of an immersive experience, as if viewers are standing on Sable’s shores. Seeing these horses galloping across a dune or scanning the landscape’s incredible topography invites the viewer to feel part of this epic visual story in a way that only film allows. "We wanted to share this impossibly complex yet delicately beautiful point of view without ignoring any of the elements that make the island so special and unique." PBS: We see the vast hills of sand, the fog, the rough waters and the lack of trees on Sable Island, which is described in your film as having a “cannibalizing landscape.” Did the geography or the elements impact filming? What was it like filming in a location like this with wild horses everywhere? Drew: While Sable’s sand dunes are constantly reforming, it is really changing very slowly, and definitely not as frequently as the weather does. You are constantly exposed to extreme natural elements and evidence of their power is all around you. Man-made structures are half swallowed by the land, which is where I got the idea of the “cannibalizing landscape”; it’s as if the island is forcing a return to its natural state, like it is resistant to anything it hasn’t created itself. The most jarring part of the geography is the solitude because it can be at once exhilarating and terrifying. Here, the sense of being alone is not just the lack of people but also the constant awareness that you are standing on a strip of land less than a mile wide. Sable can feel incredibly soothing one moment and then incredibly foreboding and mysterious — almost intimidating — the next; it feels very fragile and at the same time very tough. And, just when you think that feeling of solitude could not be greater, a group of horses will come bounding by you. Their sense of wildness is like an aura that constantly surrounds them, almost preceding their surprise arrival as they run past where you’re standing, paying no attention to you.